I love lemons and I love chocolate. So, I've been looking forward to the beginning of Chocolate and Lemon Theme Week; and it's finally here. 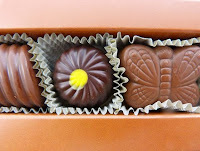 Today's Lemon Supreme Truffle from B.T. 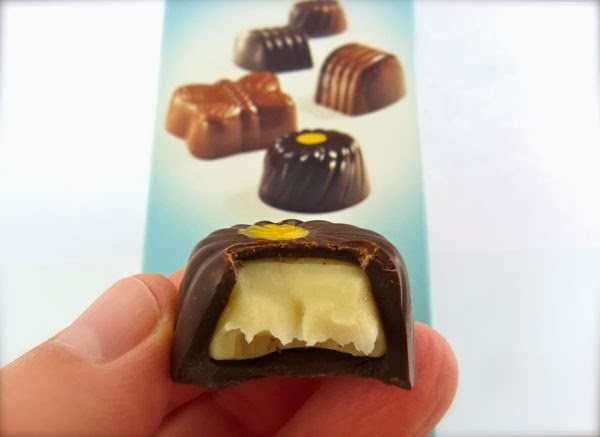 McElrath (Minneapolis, MN) -- a dark chocolate piece, with a lemon-infused white, creamy filling, and topped with a yellow dot -- was delicious.